http://en.wikipedia.org/wiki/Mother’s_Day – this is an interesting Wikipedia article on the day(s) celebrating mothers and motherhood. It contains the various dates used, as well as history and traditions from other countries. http://en.wikipedia.org/wiki/Mother’s_Day – this site contains ideas or links for crafts, gifts, parities, books, songs, and famous mothers, among many other things. Very interesting and very useful! Ther are links for funny quotes about women, Christian mother quotes, quotes by famous mothers, funny mother’s day quotes, single mother quotes, and sayings for grandmothers, for example. I recommend taking a look! http://www.mothersdaycelebration.com/ – this site has sections on celebrations, history, Mother’s Day Proclamation, as well as gift ideas. It has some really good ideas and is well-organized. Everything is easy to find. www.usmemorialday.org – This site is very nice. There is a calendar, as well as sections for history, a prayer, e-cards (links to sites that provide Memorial Day e-cards), and grief and healing. The information and/or links have been carefully gathered and organized. I highly recommend taking a look and reading some of the information; it is well worth the time to really get a view of the true meaning of Memorial Day. http://www.history.com/topics/memorial-day-history – the History Channel site is fantastic in general. This section indicates that there are 23 videos, 2 speeches, and photos. There are also links to specific people, areas like Arlington National Cemetery, and events and related topics. http://www.usa.gov/Topics/Memorial_Day.shtml – this site suggests ways to recognize the day and celebrate safely, links to war stories, descriptions of the origins, suggestions on ways to support the troops, as well as patriotic songs. It is an interesting list of links. There are also safety links to help you enjoy the holiday weekend safely. Warning Signs – Heat and Sun and Dehydration. It is so very important to pay attention to how much time you spend out in sun and heat. I realize that it is only May, but we have already had temperatures around 90. The humidity is right up there as well. So – despite the fact it makes me feel like a mother hen – here are some pages with information on sunscreen, symptoms of sun stroke, heat stroke, and other heat/summer type issues. Please, please, please pay attention. Melanoma can kill you before you know you’re sick; I know – our family has a history of it. www.wellsphere.com/wellpage/symptoms-of-sunstroke – there are actually articles here on keeping cool in summer, sunscreen, and more. www.umm.edu/non_trauma/dehyrat.htm – this site contains good information form a collegiate site on dehydration and heat stroke. Good information – it is easier than you may think to become dehydrated. www.medicinenet.com/heat_exhaustion/article.htm – this is a very helpful site for information on heat exhaustion. People tend to think that they are fine, until they’ve pushed themselves to the limit. Please look at this. People most at risk are the elderly, people with high blood pressure and people who exercise or work in hot temperatures. MajorGeeks.com – This site has a wealth of information. There are links to anti-spyware, anti-virus software, games for download, office tools, internet tools, things for Macs, and toys, among many other things. You do have to take a look at the links; some items are shareware, some are “free” (but fairly limited) and so on. Still, there is a nice selection of things for download there. 80s Nostalgia – It has a bit on fashion, a game, sound files, memories, and a message board. If you love the 1980s – or remember it fondly – this is a great site to explore! Smithsonian Photography Initiative – an ongoing project to explore how photography changes our lives. Currently, experts in the field are exploring how it has changed various disciplines like sports, medicine, philosophy. Eventually, they will be taking submissions from ordinary people (as well as comments) on how it influences peoples’ lives. Strange new products – This is an amusing site that looks into the latest (and strangest) entries into the marketplace. And to think I thought my DREAMS were weird; I don’t think my dreams have contained anything quite like these things. Dryer Lint Page – Wow. Who knew? There is a site devoted to dryer lint. It includes a list of uses for it. What Should I Read Next – you can build a list of your favorite books and get suggestions on what to read next. Online Conversions – this site is very, very useful. You can convert almost anything to something else. It includes conversions of clothes sizes from one country to another, astronomical units, cooking units, finance calculators, speed, viscosity, and a miscellaneous category. I recommend taking a look – or remembering the site for later. DaFont – lots and lots of free fonts for both PC and Mac. I haven’t actually installed any yet, but there are a wide range of choices and it looks like it is easy to do. Liveplasma – good way to expand your musical and movie tastes. You enter a name of a group or an actor that you like and it returns recommendations. Keybr – a website on which you can practice typing. It has a game (the practice section), information on keyboards, information about the site. Language is a Virus – this website has many, many games to help you with writer’s block, as well as writing prompts. In addition, you can post your work. Zoho – an online package. It includes spreadsheets, word processing, presentation, notes, web conferencing, project management software, and more. Indeed.com – this is a useful site indeed (ha!). It gathers job ads from various sources in one place. I love it. iTools – this site has search, reference, internet, map, and other tools on it. Jackson Pollock – create a masterpiece online. Click on the screen to change colors. Press any key to start over. We Are What We Do – actions to change the world; this is a list to track actions that you are taking to make a difference. Project Linus: this is a wonderful group that provides comfort in the form of handmade blankets/afghans (made by volunteers) to children (of a wide range of ages) who are going through or have been through trauma of some sort. MIT Opencourseware: MIT has a site that provides free lecture notes, exams, and other materials from over 1800 courses. The Generator Blog: this is just amusing on a number of different levels. You can generate all sorts of things from road work signs to Absolute Bottle Signs to calendars, cat names, and chocolate bars. The Elements of Style by William Strunk on Bartleby – very helpful for writers, students, office workers, and anyone who wants to improve their writing. The Startspot Network: this is a great source for a wide variety of information. There are various “spots”, including LibrarySpot, MuseumSpot, BookSpot, HeadlineSpot, and GeneologySpot. 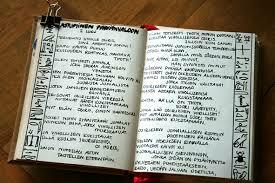 Each one goes to its own page and contains links to other sources of information. For example, the BookSpot page has categories such as “Behind the Book” with information on authors, publishers, pod casts, and so on; “Genre Corner” with information on children’s books, romance, mystery, etc. ; “Must See Sites”, “Genre Spotlight”, and so on. The Internet Public Library: Health and Medical Sciences: plenty of links to helpful information; obviously, there are also other categories than Heath and Medical Sciences.